Do your clients ever make you furious? Paying late, not responding to emails, arguing about art direction...enough is enough. As freelancers we face a lot of challenges, even on a good day. But when it comes to our clients, these challenges – being slow-paid, chiseled, schedule-jumped or argued with – can be truly infuriating. But it doesn’t have to be that way. 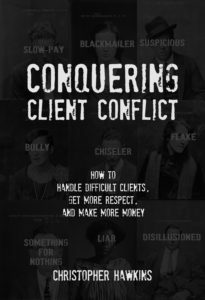 Based on my e-mail course that has helped hundreds of freelancers, Conquering Client Conflict is a 10-part training course, complete with case studies, that can help you resolve these conflicts when they happen – or avoid them before they do! Have you ever wanted to start your own podcast? Did it seem difficult, mysterious, or overly-technical? It doesn’t have to be! 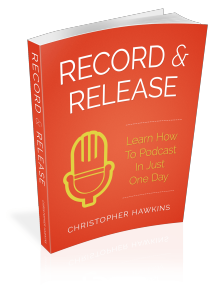 You can start your own podcast in just one day. This is a step-by-step guide to creating & launching your own podcast, written to share the lessons and techniques I used in creating my own popular and successful podcast. Courses on podcasting often start at $100 and go up from there, but with the help of this inexpensive guide, it’s easy & affordable to get started.